One of the things I absolutely love about the medium of comics is exploring new titles, oftentimes with little more than a cover blurb and a rough idea of what the book’s about. 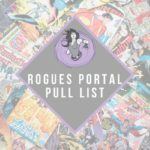 I do my best in these review columns to not just cover Big Two style superheroics but to get outside my comfort zone and try new series. Buying new comics based off little more than a catching cover graphic and a rough idea of the plot, is about as close I’ll get to recapturing the halcyon days of my youth when I’d peruse the shelves of my local video store looking for that fabled Awesome Weekend Rental that my brother and I would be telling our friends about the following Monday at school. So it is with Sukeban Turbo #1 from IDW. I didn’t have anything more to go on other than the catchy title and an image of the cover, but I dove right in. The story focuses on a young woman named Shelby. Shelby is many things: high school student, gang ringleader, extortionist, drug dealer, and an overall not so great person. She leads a gang that call themselves the SukebanTribe, after a DVD Shelby shoplifted years ago. 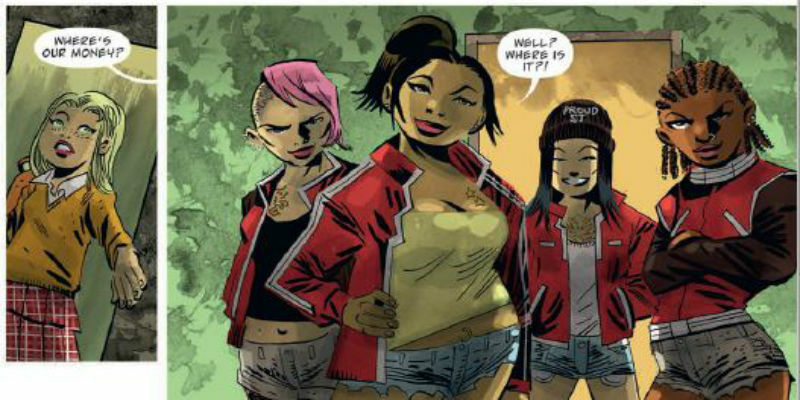 To say Shelby has issues would be to put it extremely mildly, and over the course of Sukeban Turbo #1 we see her carefully crafted world of pop-culture inspired ultraviolence begin to ever so gradually spin out of control. This issue was interesting. Going into the comic I expected something over the top a la Machete, Grindhouse, or Kill Bill. Instead, I got the Sopranos by way of the movie Kids with only a hint of The Warriors, rather than the insane tribute I expected. This isn’t to say the comic is bad (far from it) but the overall impression was quite different than what I was expecting. 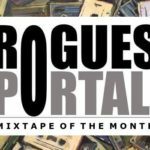 Sylvain Runberg crafts a bleak little tale of broken people doing bad things, and the overall tone is one of regret punctuated with shocking violence. Victor Santos’s art is great, capturing the complex palate of emotions in facial expressions while also providing some seriously discomforting stuff when the violence kicks in. Shawn Lee’s lettering makes the dialogue look distinct for each character, ensuring everyone’s voice has its own feel. This one’s dependent on your own personal taste, but buy it if you enjoy a dark tale about shady people up to no damn good. 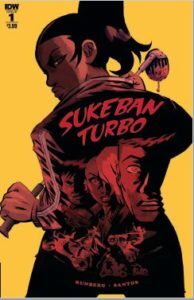 If you enjoy series like The Sopranos or Breaking Bad, Sukeban Turbo #1 is a comic you should add to your To-Read pile. It’s an uncompromising deconstruction of ultraviolent films like The Warriors, and I can’t wait to see what twists and turns are in store for Shelby and the Sukeban Tribe. Recommended.